Stars react to death of Carrie Fisher: "The force is dark today"
The force is dark today. After news of Carrie Fisher’s death broke, that sentiment seemed to reverberate across social media. Bill Dee Williams, who played Lando Calrissian in “Star Wars” trilogy, summed up what many were feeling. “I’m deeply saddened at the news of Carrie’s passing. She was a dear friend, whom I greatly respected and admired. The force is dark today!” he tweeted. 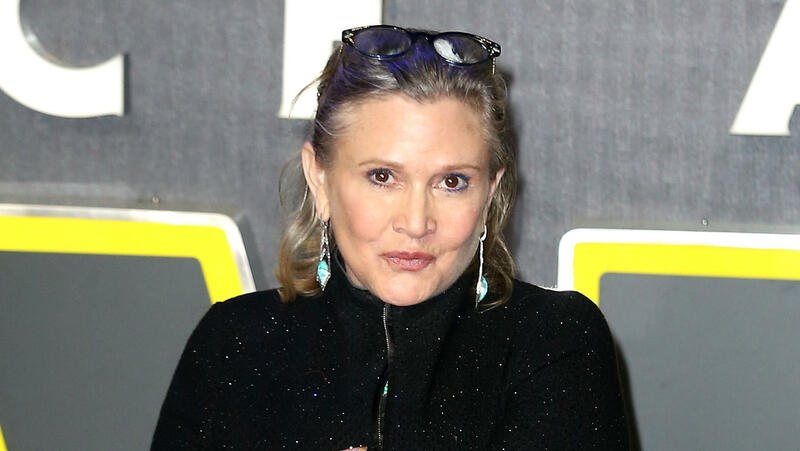 Fisher, who was best known for her role as Princess Leia in the original “Star Wars” trilogy, died Tuesday, days after suffering from cardiac arrest aboard a flight. She was 60 years old. “I will miss her dearly,” he said. Fisher’s co-star Harrison Ford, who she recently revealed she had a three-month affair with while filming the first “Star Wars,” released a statement about her death. “Carrie was one-of-a-kind…brilliant, original. Funny and emotionally fearless. She lived her life, bravely...My thoughts are with her daughter Billie, her Mother Debbie, her brother Todd, and her many friends. We will all miss her,” his statement said. “Carrie and I have been friends most of our adult lives. She was extremely smart; a talented actress, writer and comedienne with a very colorful personality that everyone loved,” he said. “I am grateful for your thoughts and prayers that are now guiding her to her next stop,” she wrote. Fisher’s half-sister Joely Fisher tweeted that she was brokenhearted. “...the Unfathomable loss...the earth is off its axis today...how dare you take her away from us,” she said. Bob Iger, chairman and CEO of Disney, that owns distribution rights to “Star Wars,” released a statement calling Fisher one-of-a-kind, and a true character. “Millions fell in love with her as the indomitable Princess Leia,” the statement read. The official “Star Wars” account shared a photo of Fisher on Twitter, alongside a quote from Kathleen Kennedy. It wasn’t just fellow “Star Wars” actors who paid tribute to Fisher. On Amazon’s “Catastrophe,” Fisher played the mother of Rob Delaney’s character, and the overbearing mother-in-law of Sharon Horgan’s character. Horgan took to Instagram to remember her friend. Many took to social media to share anecdotes about Fisher and highlight her career that spanned decades. Others highlighted the work she did off screen, especially raising awareness for mental health issues. I can't describe my grief at Carrie Fisher's death. She was not only multi-talented, but unashamedly forthright about her mental illness. But many simply expressed sadness and disbelief. Carrie Fisher was a really, really funny writer and an awesome actor. That's all I got right now. I dunno what else there is. Dammit. Hail Hail! A genius has vacated this realm-RIP Carrie Fisher. In a statement Tuesday, Fisher’s daughter Billie Lourd confirmed her death, and noted she was loved by the world. “She will be missed profoundly,” she said.